Please note this month we’re on a TUESDAY night – Tuesday 26 May. It’s that time of the year again – yes, May – when we celebrate our very own Evrim’s birthday by handing him the reins of the night for the evening. But in true Duke fashion we’ve decided to give it a twist this year: a surprise, RARE feature that we’ll all watch for the first time as a treat. 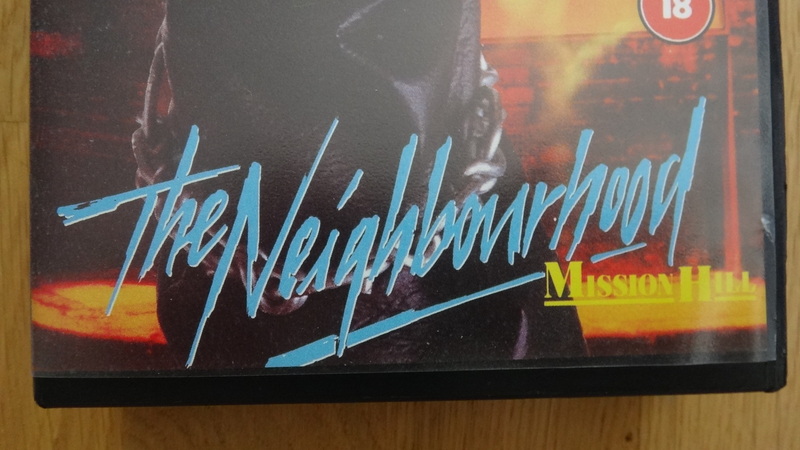 On the night we’ll be screening the super obscure 1982 film: The Neighbourhood. Why are we watching this? Well firstly we’d never heard of it before, or even seen the sleeve on our travels but it looks and sounds so good. Secondly there’s not one second of this film available to watch online, it’s not on YouTube and you won’t find it anywhere else. Thirdly and probably most fun, the only reviews of the film that we can find online are two entries on iMDB, both of which are written by students of the film’s director Bob Jones, who now teaches film and seems to screen The Neighbourhood as part of his course. And remember, who haven’t watched this film so we’ll be going into the evening as blind as you’ll be, so come along and take a chance with us, it could be amazing!